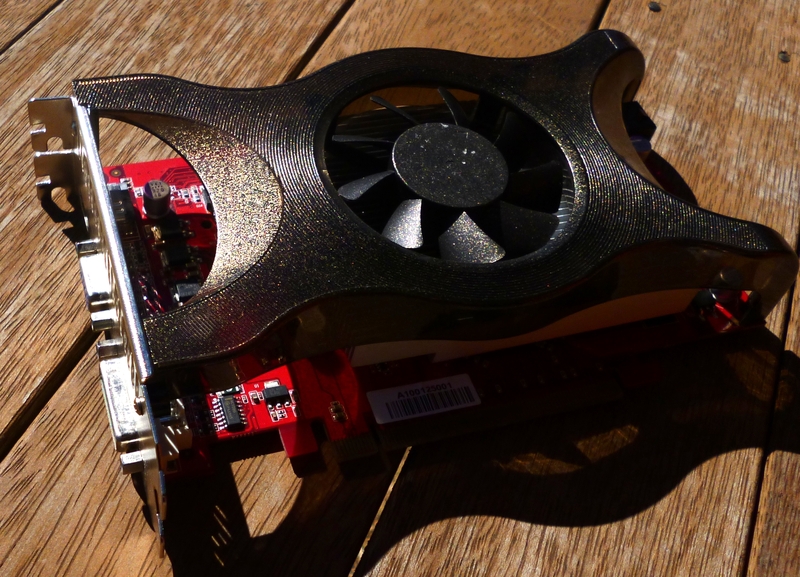 Noskcaj's blog | My blog about Ubuntu, testdrive, building PCs and random stuff. 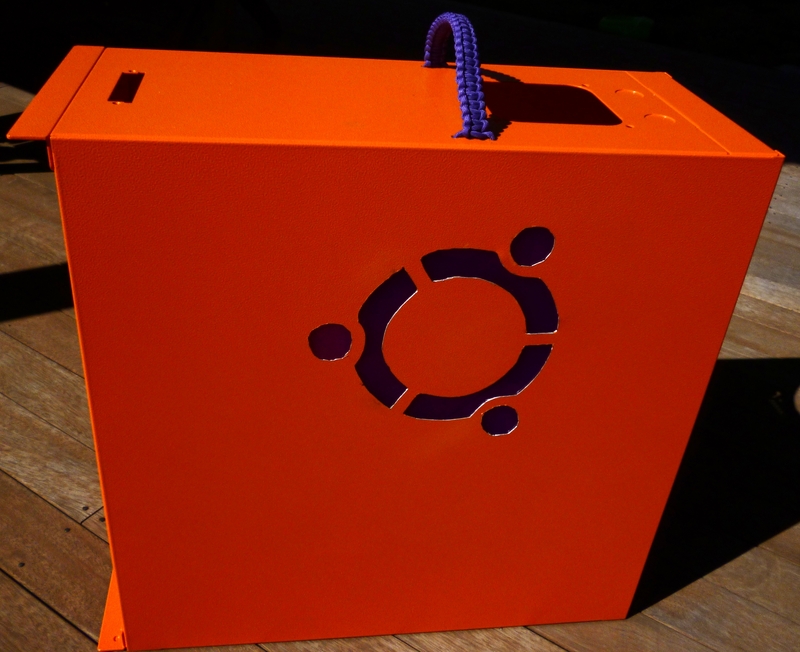 My blog about Ubuntu, testdrive, building PCs and random stuff. 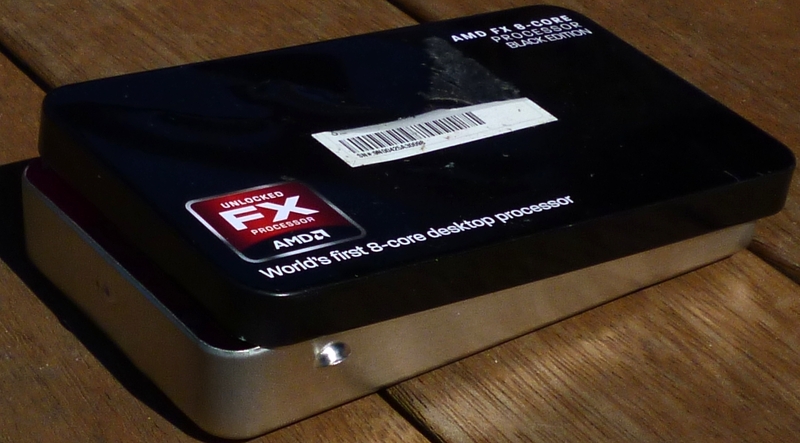 The CPU (an AMD FX-8320) finally arrived this week, and i’ve put the LEDs on since i shouldn’t be doing any more cutting any time soon. 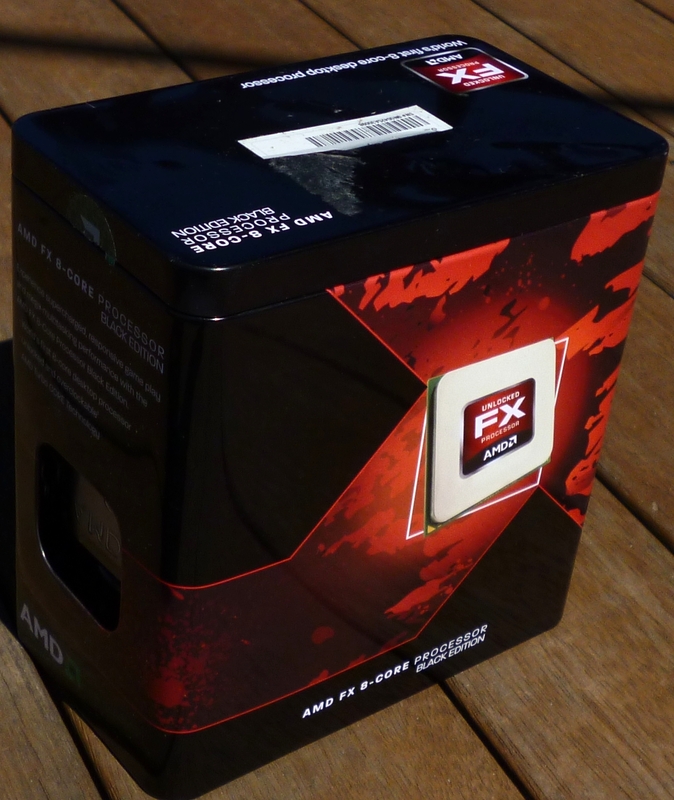 On top of this, I received a sponsorship from linux australia recently, which is paying for the main motherboard and PSU. I also have a few other parts that count as christmas gifts which i think i’m getting, plus a $10 donation to the gofundme project, which is being used for the power LEDs and a small soldering iron. Adding the LEDs was rather easy, since they have a super strong glue strip on the underside, and it plugs straight on to the fan controller. 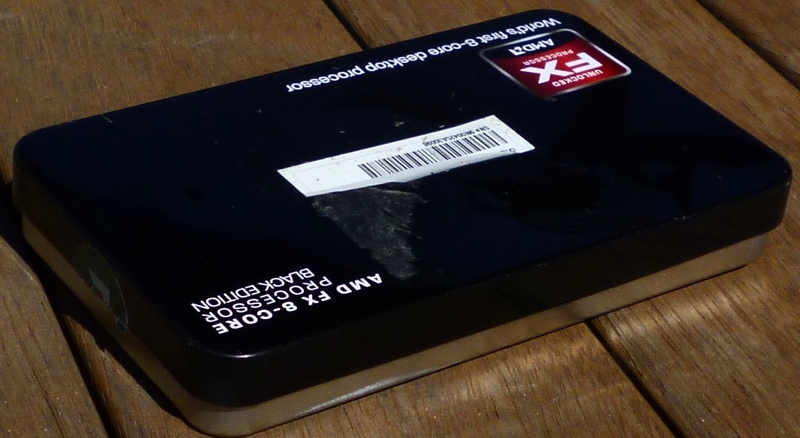 The CPU came in a rather large, aluminium tin. 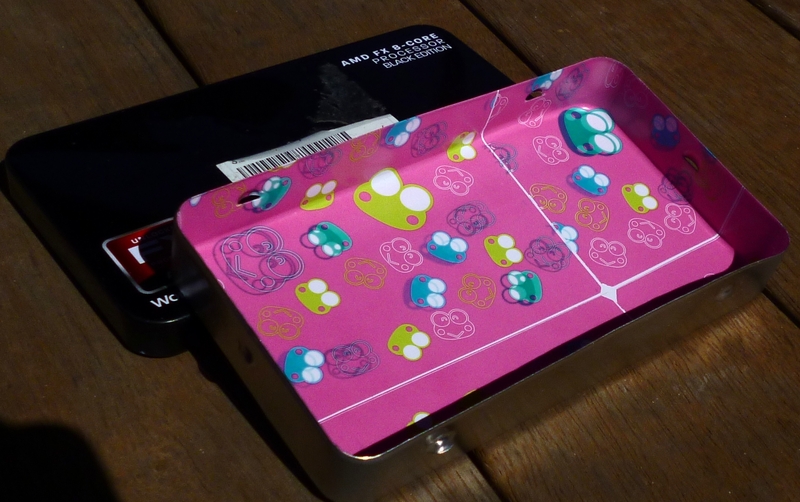 One of which is a rather strange, but cute, print. 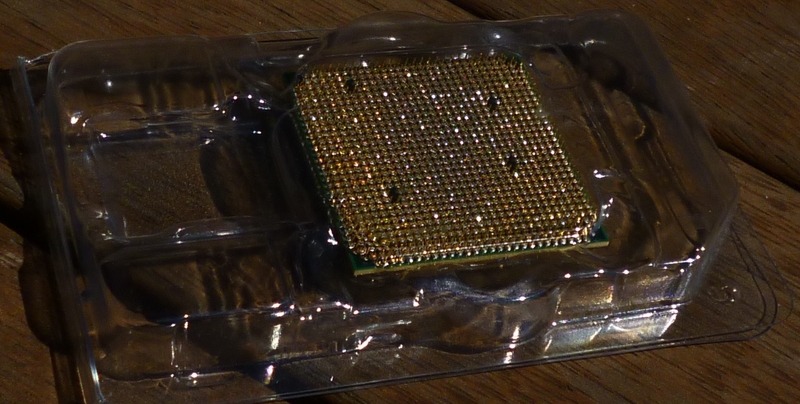 The underside of the cpu. If a computer part could be un-photogenic, this is it. 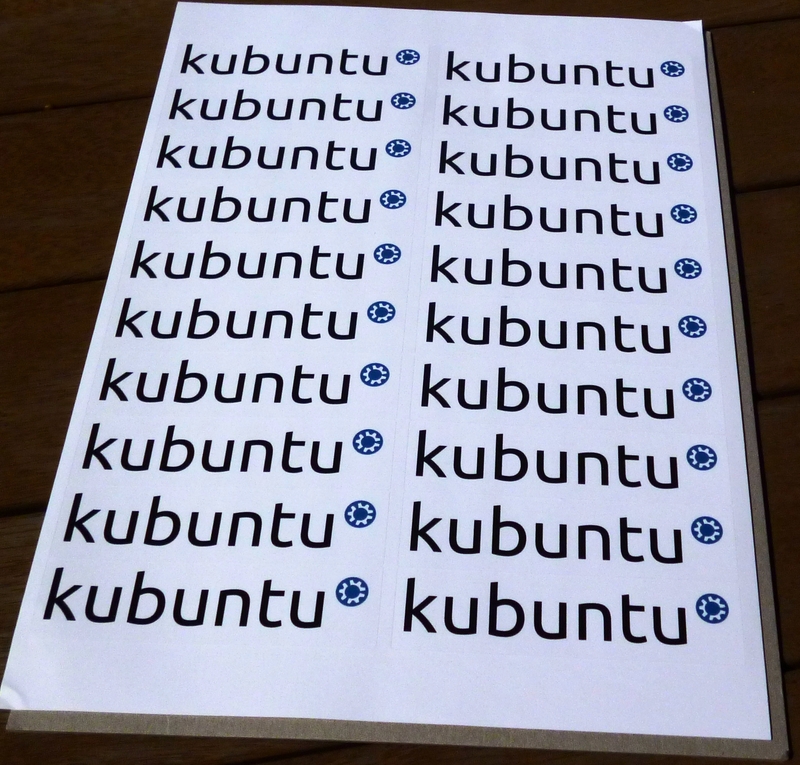 The other new this week, is i’ve received 200 Kubuntu stickers. I will send these free to anyone in Australia who is willing to pay postage. Email me for my address if you would like some. I still need someone who cn make me the itx mount, but i’m starting to give up on that. Sorry for the delay in updates. I lost the camera charger and had no money for quite some time. 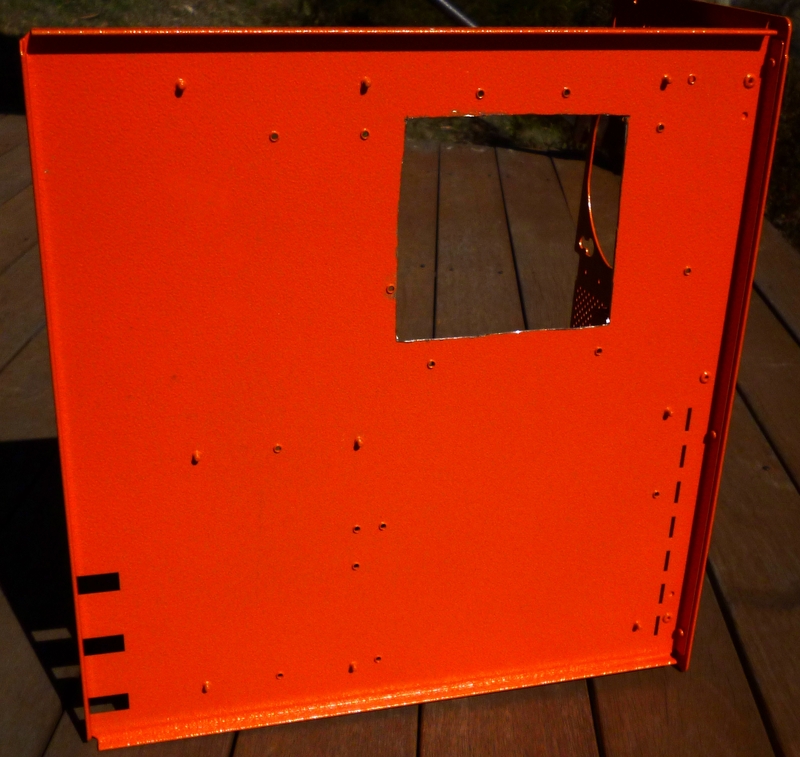 I have now finished installing the two orange fluorescent windows (which glow when combined with the IceModz LEDs), made a CPU cooler cut-out (for replacing the cooler once the motherboard is installed) and have cut the hole for where a 10″ tablet or LCD will one day go. I am currently waiting for the ITX mount and to get a motherboard back that was stolen from me. I will then begin to buy some hardware. If anyone has some components or a tablet that they could give me, it would be very much appreciated. 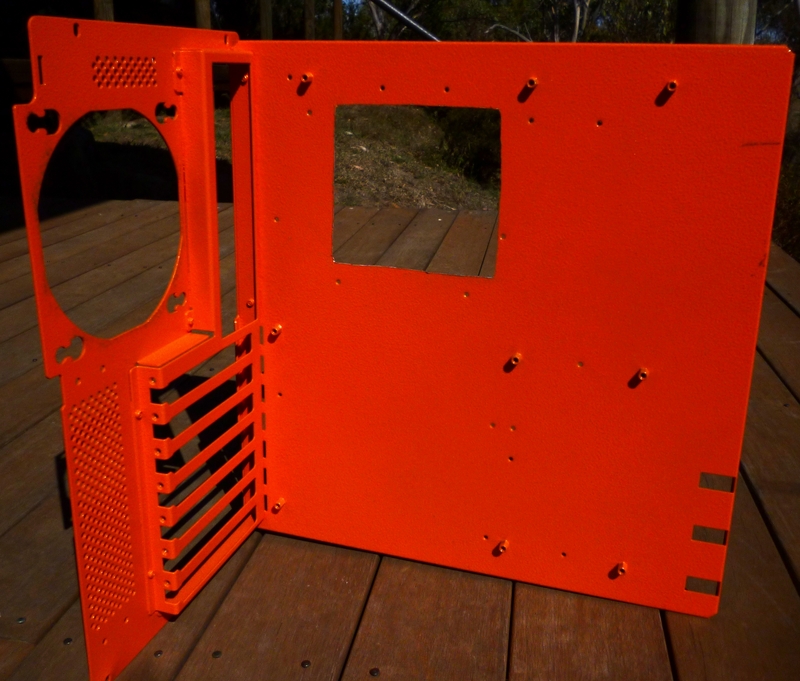 I’ve continued the case mod, i’ve added huge side windows and have some hardware now, but i’ve lost my camera’s changer, so no more pics unfortunately. I’m going to go on with this mod, but there will be a lack of pics for a while. sorry everyone. Hello everyone. I missed last weeks update due to spilling 20L of water from my of PC on my bedroom floor. That’s now fixed, so i can play games again. I apologise for taking that photo with a potato. I now have the first window added to the case. 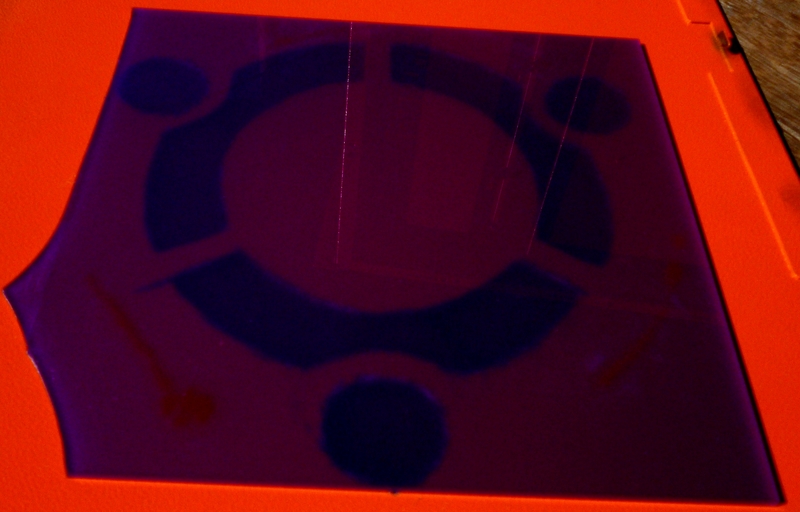 It’s made of purple mirror acrylic, and is in the shape of the ubuntu logo. This took about 4 hours to cut. 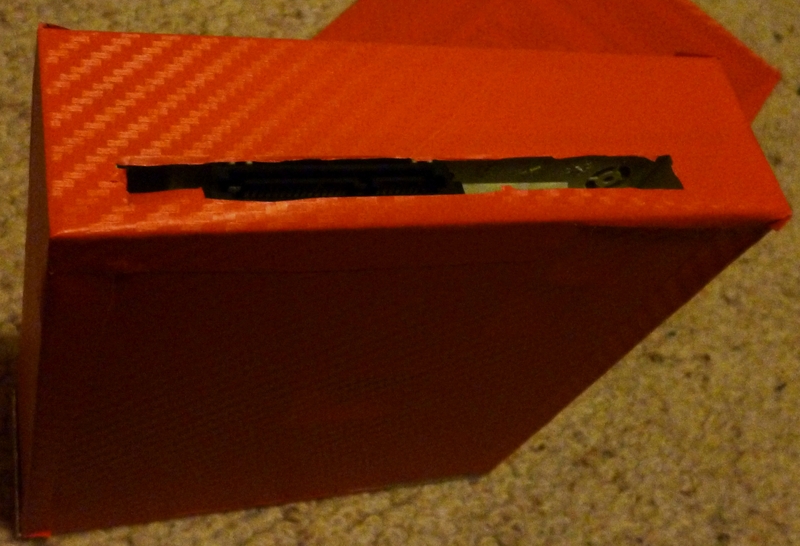 Then it was just a case of cut the acrylic to size and superglue it on. I also have my first GPU for the build. 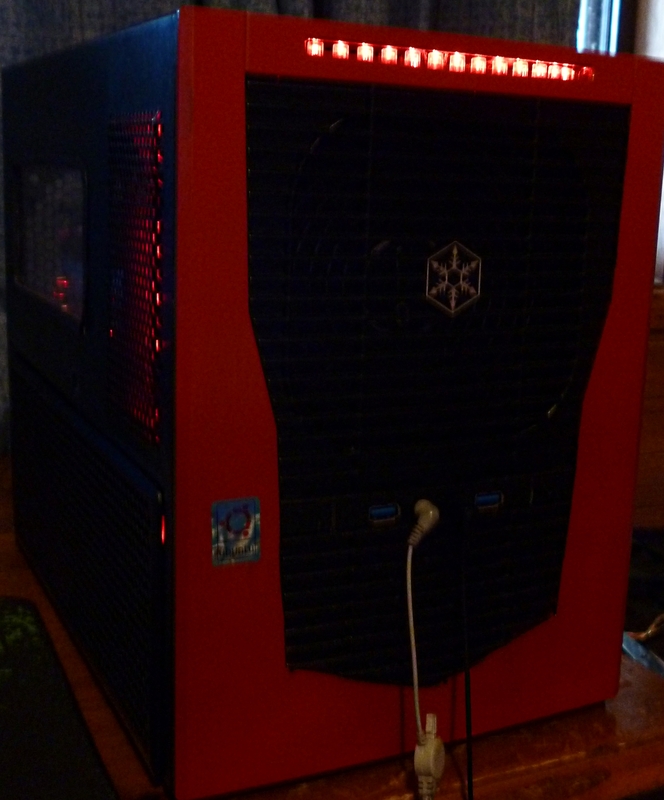 An old nVidia 250 gt that i sparkle painted. This week the project has progress quite a lot. 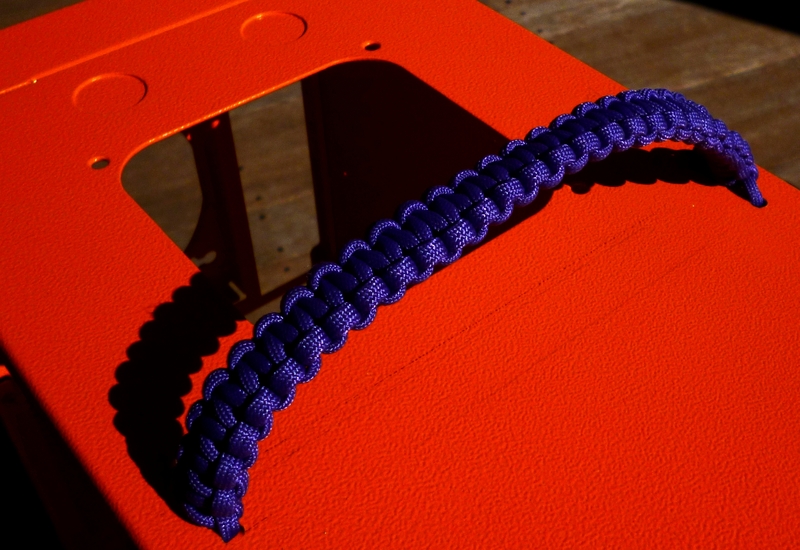 To start with, I’ve finally made the case handle. 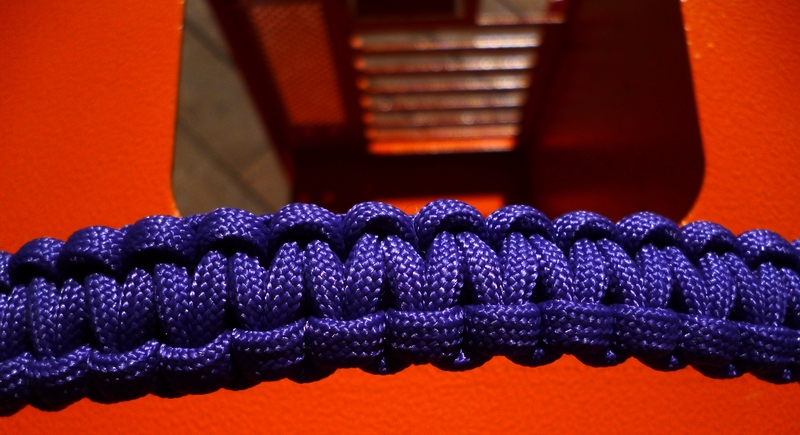 This was done using a “Cobra weave” and used roughly 3 meters of purple paracord. 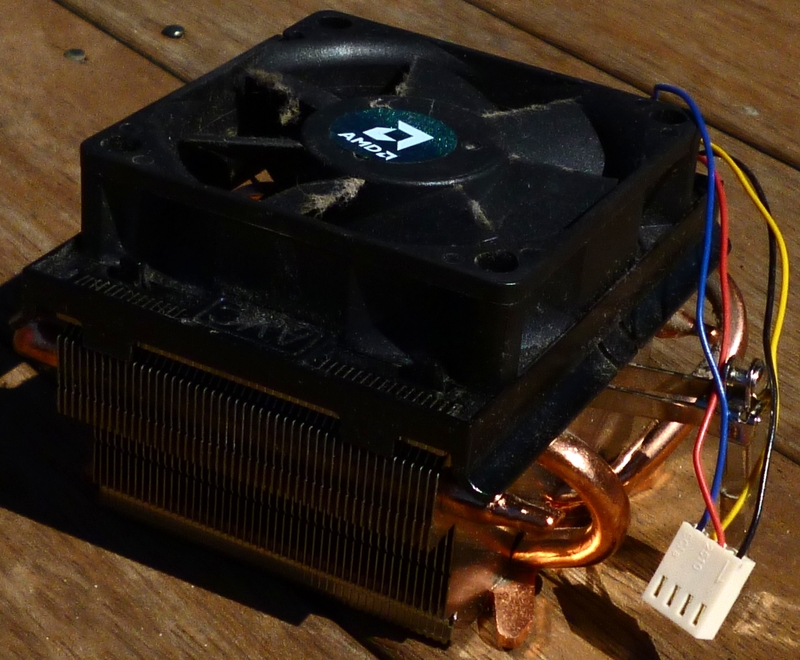 I’ve also soldered and sleeved the fan controller from the case. 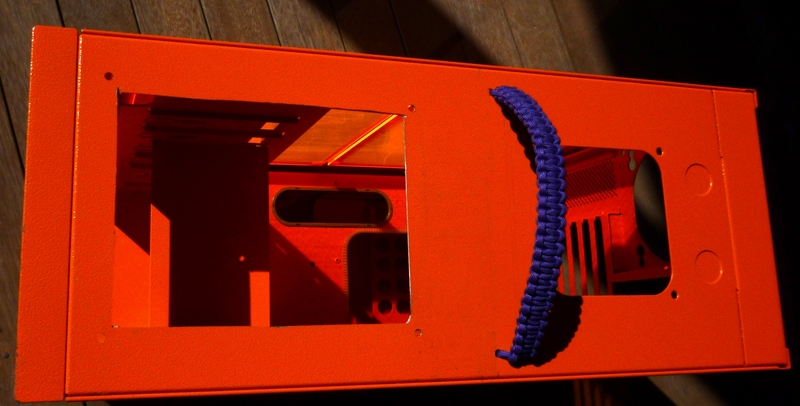 The molex power pins now just have to be glued into a plug, since i broke the clips that normally would hold them in. This will be used to control the brightness of the LEDs. And now the big news. 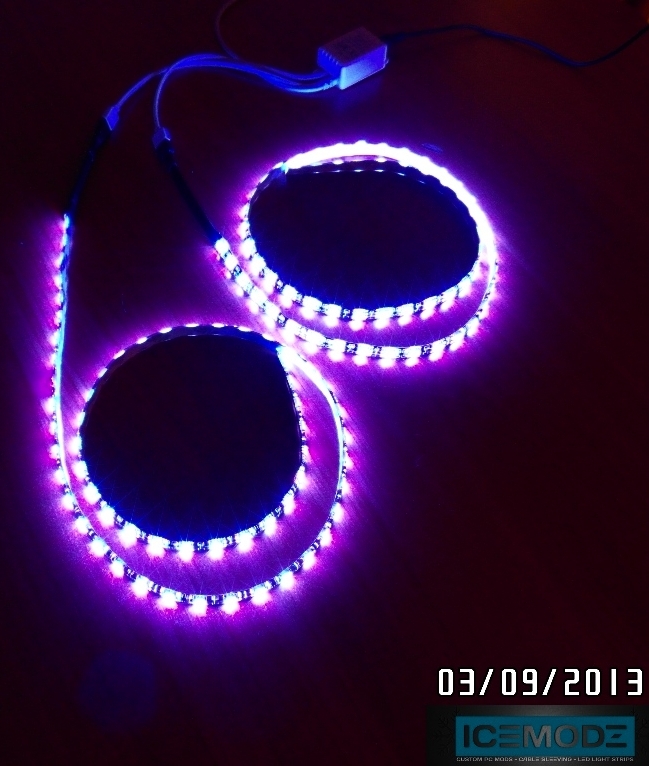 The UV LED strips from IceModz are now here. 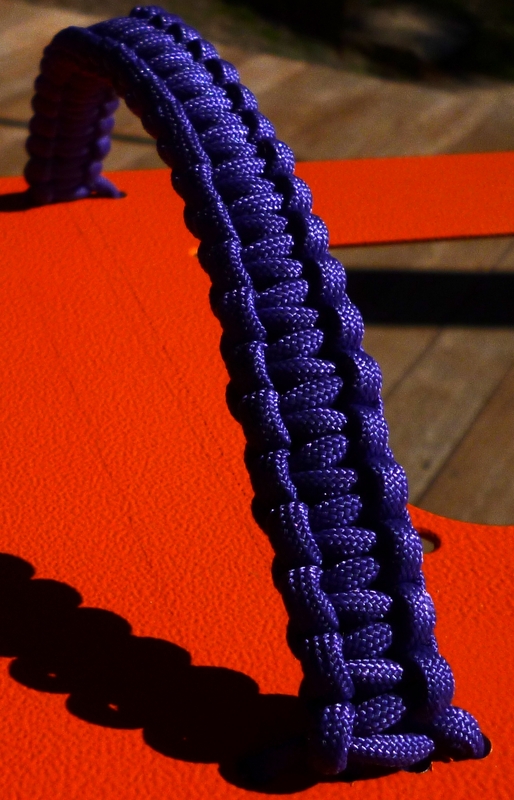 They appear to be a violet colour, but they also make fluorescent things glow. 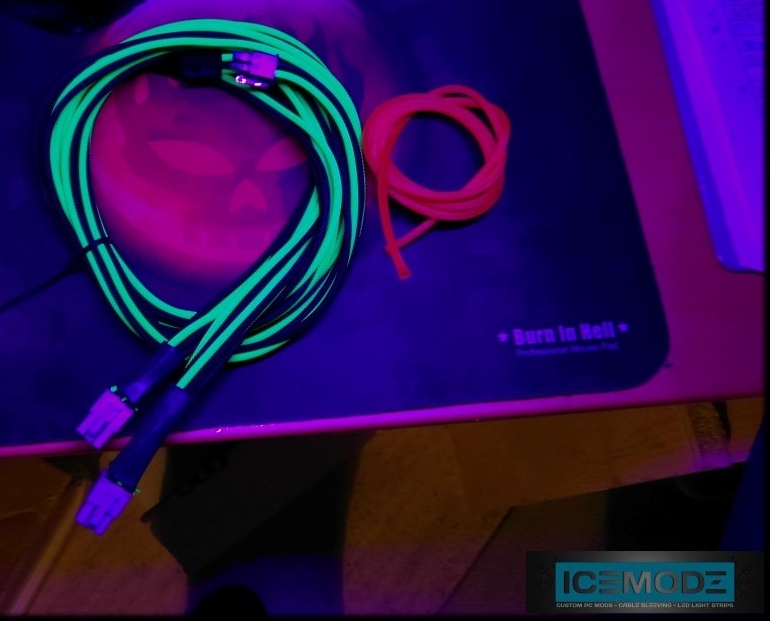 My strips are 45cm long, but you can buy them in Red, Blue, white, green, yellow/orange, UV or RGB, anywhere between 3cm and 500cm long and with 30 or 60 5050 spec LEDs per 100cm. They are insanely bright too. 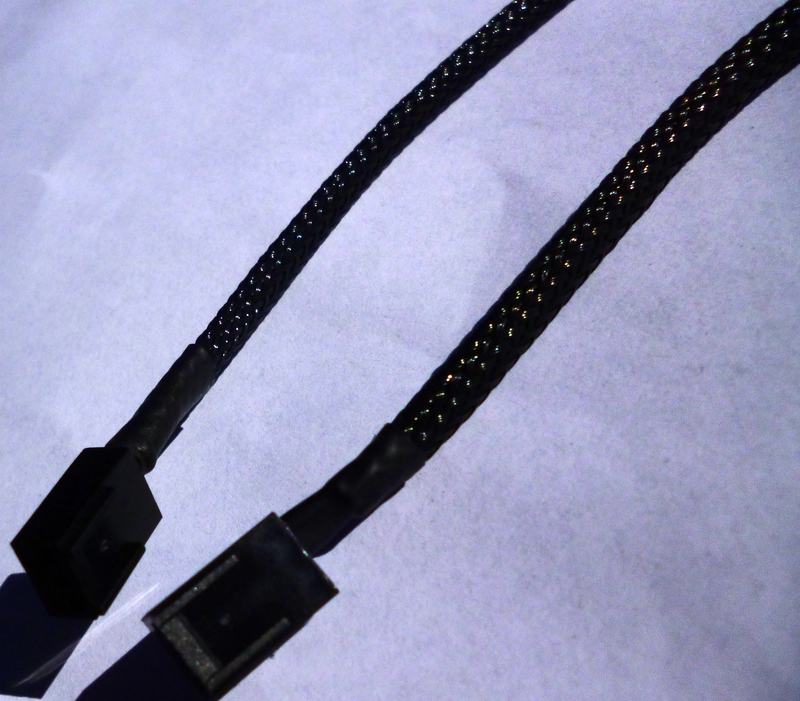 They are adhesive backed and will come either with a 3 pin fan connector (what i got), 4 pin fan connector, or a 4 pin molex plug. 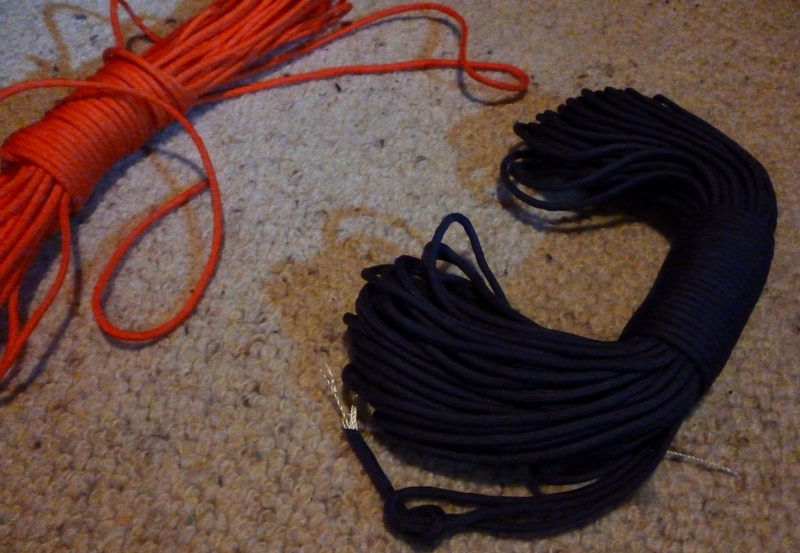 The wires come pre-sleeved (in glossy black shakmods sleeve), but i will probably sleeve the wires myself so it matches the colour scheme better. Next week i should have some off the windows and cut-outs made, stay tuned for more. Testdrive is a tool for managing the testing of ISO files, by default, the ones for ubuntu. It acts as a hub for downloading/syncing, creating VMs, and creating live USBs. It has not had a particularly active development, and is missing a few features that would be really useful. Therefore, with the help of Howard Chan, i will be running a hackfest on the program on August 10th. The wiki page for the hackfest is at https://wiki.ubuntu.com/QATeam/Testdrive/Hackfest . Below are the details. 10:00–16:00 UTC, Saturday, 10th August, 2013 with G+ hangouts run from 10:00–11:00 UTC and 14:00–15:00 UTC. 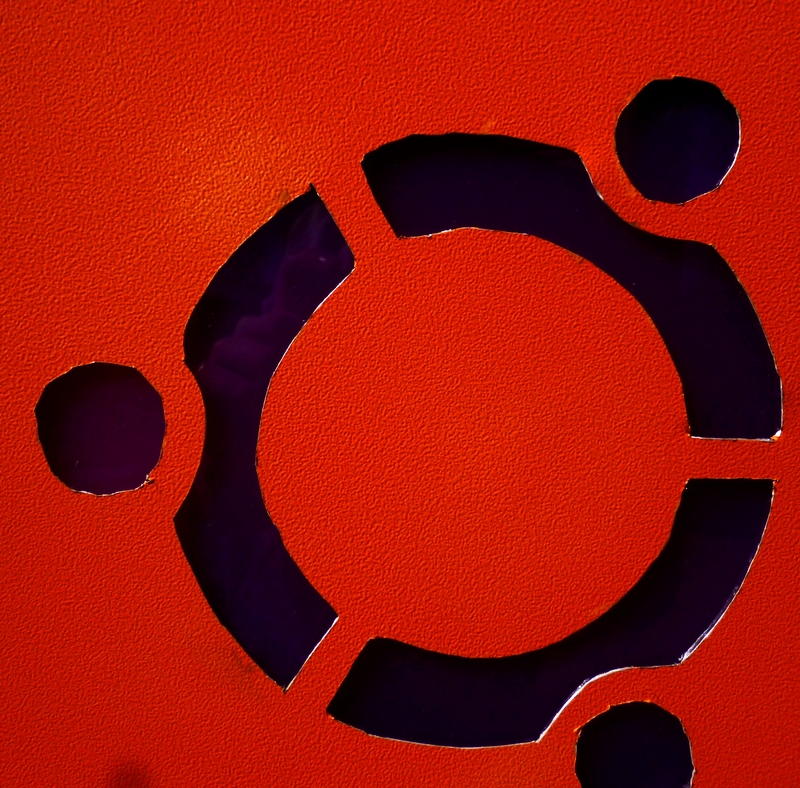 #ubuntu-quality on freenode and a G+ hangout. Where do i get testdrive? If you want to translate, use the launchpad page. The best way to get the code is the bazaar branch at lp:testdrive, so run bzr branch lp:testdrive to get it. The PyPI repository is at https://pypi.python.org/pypi/testdrive is you need a different way to get the source. What can I expect as part of the hackfest? A opportunity to learn and get help with python, PyPi, gtk, bzr and general testing stuff. 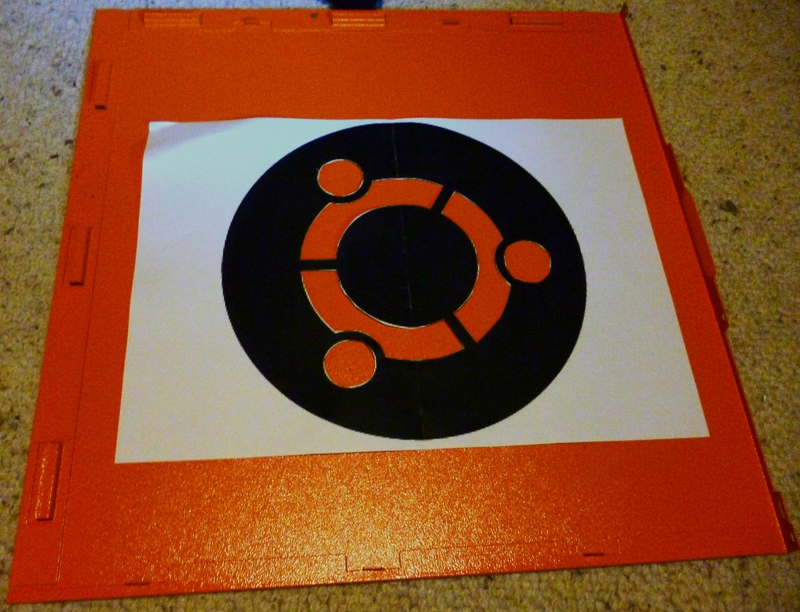 The Ubuntu PC Case Mod Pt.7 SPONSORSHIP! This has been a good week for the build. 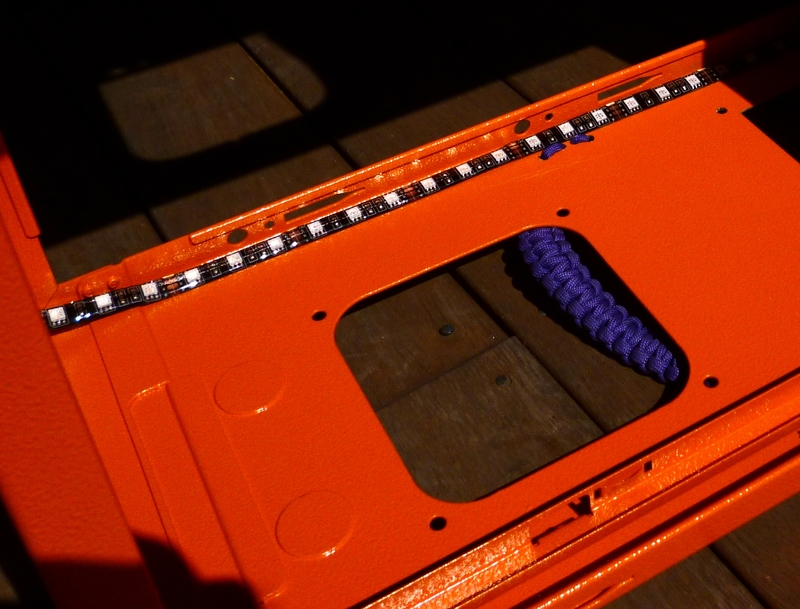 I’ve got the DVD drives wrapped, more paracord has arrived (enough to do the top), the side windows are ready to cut and I finally got sponsored, thanks to IceModz.com . 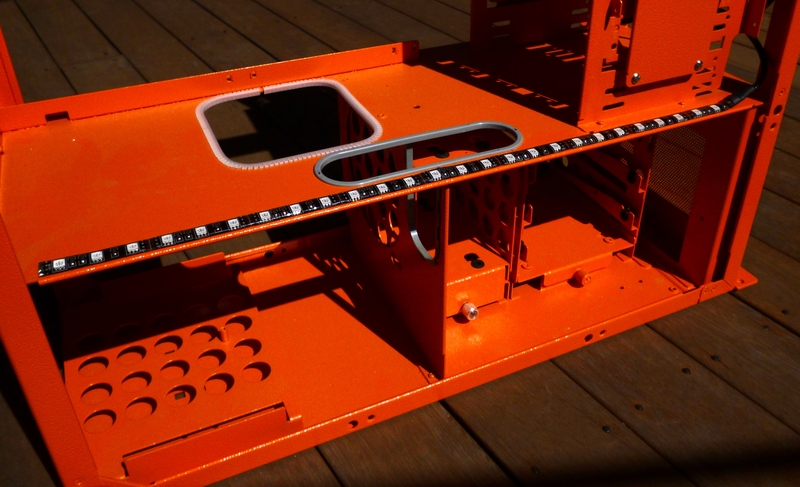 I’ve also got around to planning the mount and door for the ITX board and Mac Mini. 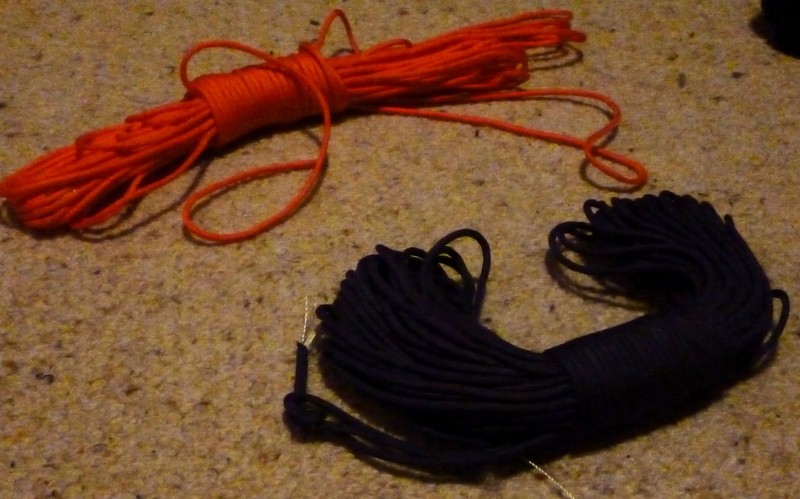 They will be mounted sideways, possibly with a mount in the middle, possibly with just zip ties. 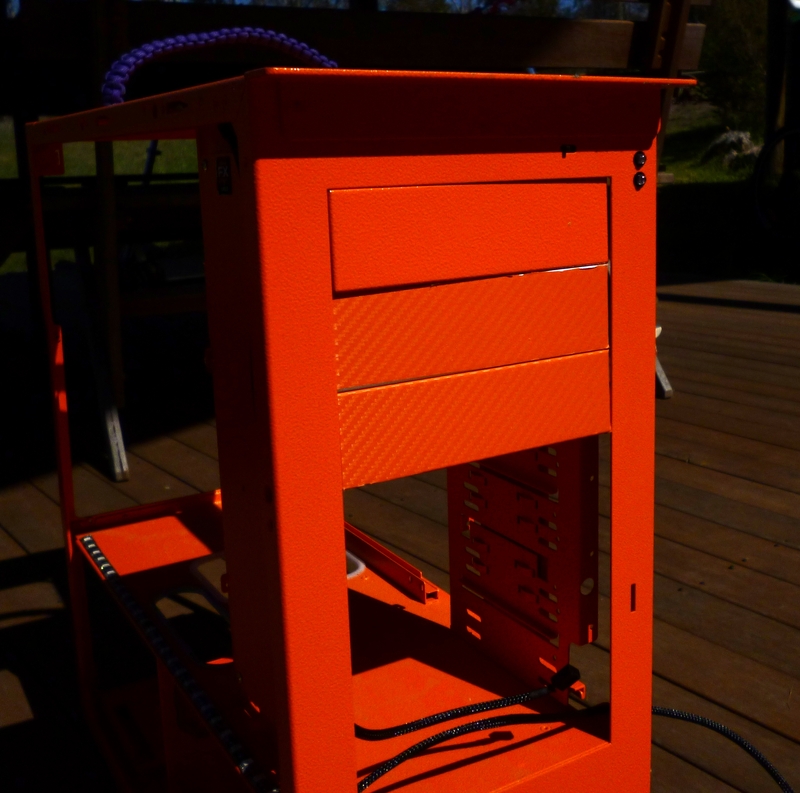 This will be connected to the bottom 4 5.25″ drive mounts and a front USB panel. I’ll try to add a door too, but i might not be able to. I apologise for the pics this week, it’s raining so i cannot get proper lighting. 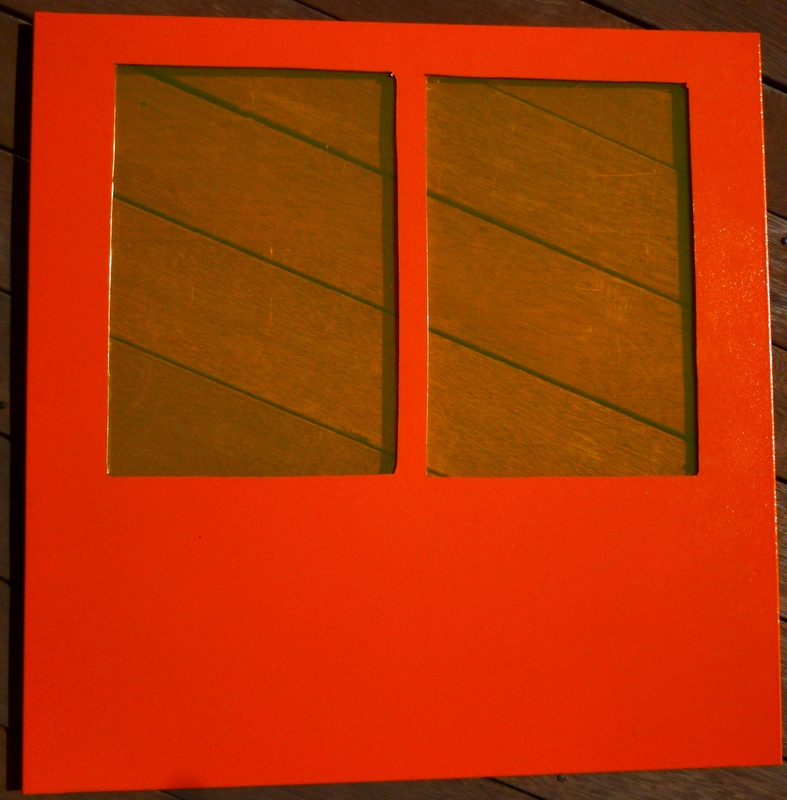 The Stencil for the windows. 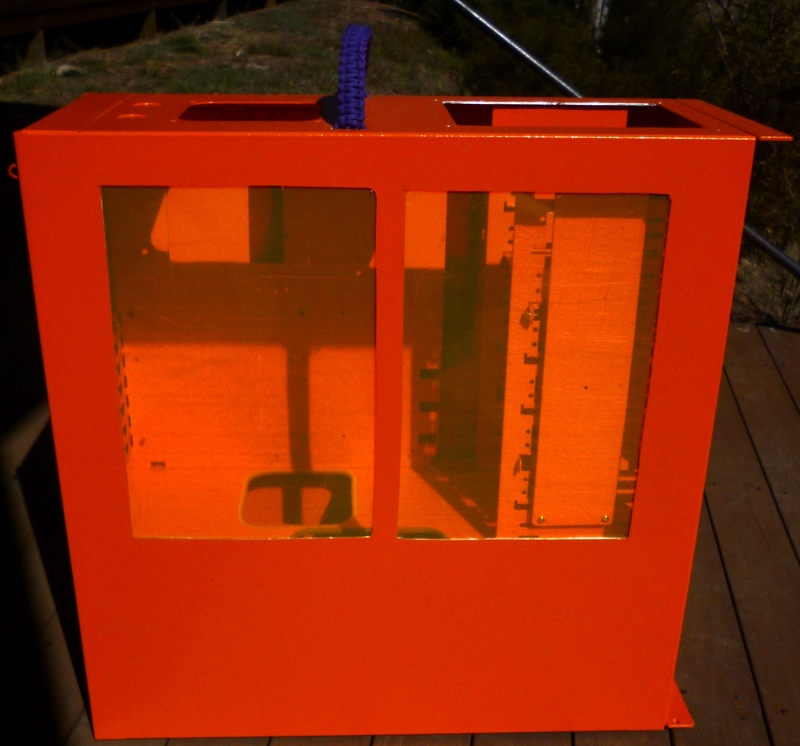 The inside cutout will be used with purple mirror acrylic on one side, The whole size of the paper will be the UV orange window on the other side. 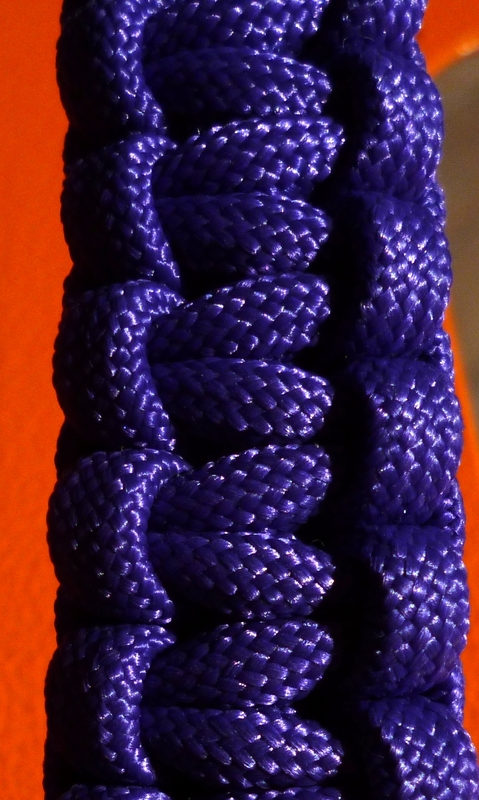 The paracord. It’s more violet and orange in real life. And now, some pics of the UV/Purple LEDs off IceModz.com Since mine haven’t arrived yet, as you can see, UV reactive things really glow.